Today I have the review of the Sunvell T95R Pro Android 7.1 4K TV Box. Sunvell has released some great TV boxes in the past, and I am pleased to see that they released a TV box for anyone searching for a TV box with good performance and accessibility. So in this review I performed my usual root and benchmarks, and I am pleased to report the Sunvell has brought life back into TV boxes, and how a TV box should be. 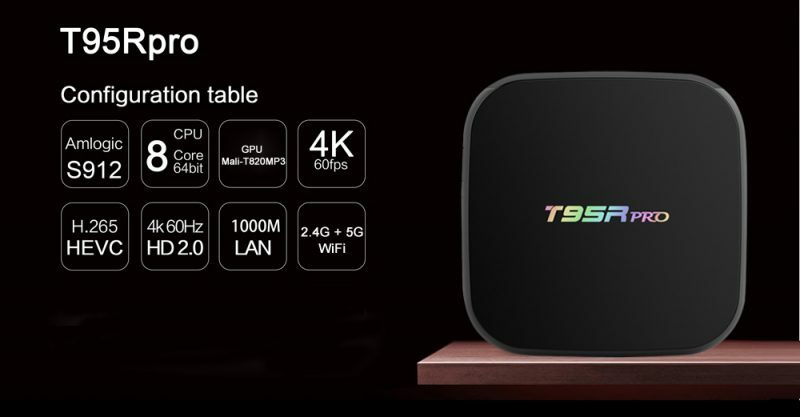 The Sunvell T95R Pro comes with hardware much similar to other higher end TV boxes in its class. It runs on the Amlogic S912 octa core CPU running up 1.5 GHz. The GPU is no surprise, its 3D graphics and display is powered by ARM Mali T820 tri core GPU, running up to 750MHz. It comes with 3GB of DDR3 RAM, and 32GB of internal storage. I comes with dual band 2.4GHz + 5.8GHz WiFi, and Bluetooth 4.0. I really enjoyed doing the review on this box because this rooted and trouble free. I watched free movies and TV shows, played some games, and totally loved it. The box did not overheat, and I like the new multi-color LED power-light. 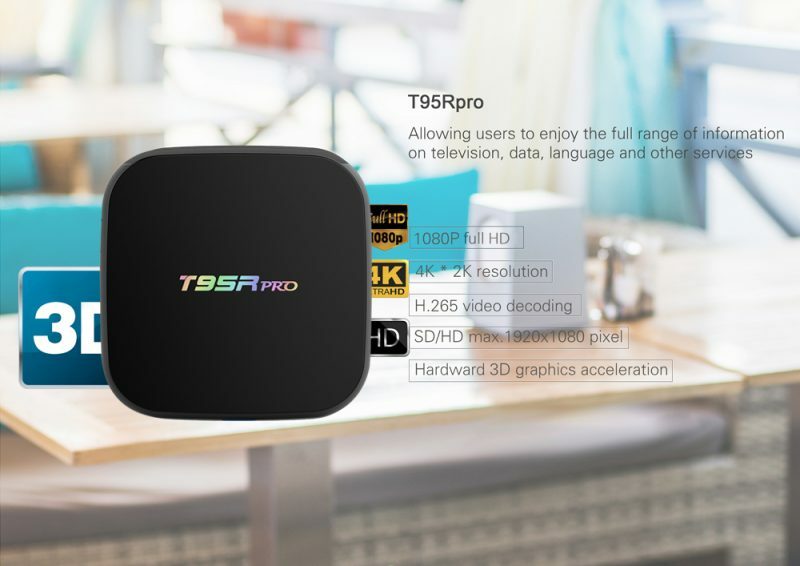 For a TV box user and blogger, the Sunvell T95R Pro has brought back life in how a TV box is meant to be programmed and how it is supposed to perform. In the simplest of terms, yes this is a great TV box to buy, Sunvell has done it again, I got no complains on this box. flash to restore the box. It’s an .img file format with boot tools. Copy and paste files in the unzipped folder onto a SD card the place it in the box. Hold the reset button while powering on the box and it should boot straight into a firmware update. Remember, unzip and copy and paste all the files in the 2GB-v1012 folder, not the folder itself okay. The files are 1.28GB when unzipped, so use a 2GB larger SD card. I cannot see a reset button on the box. The reset button is inside the AV port hole use a toothpick or a paper clip and push inside the AV hole and you should feel a click at the bottom that’s the button right there. I downloaded the firmware to a micro SD card and rebooted. It flashed updating and then crashed and I am no longer able to get the box started….just a black screen. I tried the reset button a few times but nothing happens. Any advice on restarting it? I tried the update and the box flashed “updating” and then went black. I have bee unable to get it started again. I tried the reset button a few times but it does not boot up at all. Any advice on restarting it? Yes that happens sometimes when you use the SD card method,to fix that problem use the USB burn tool method via PC and OTG cable. Yea this box is one of the best boxes I’ve reviewed. Just trying out this new box. For some reason is Google Store crashing every time I try to start it. Suggestions on what to do? I have the same problem, the App Store crashes every time I try to login to the Google Store. About to return it the store that I bought it at. I came on this site to try and find a fix. The problem you are having can be fixed by a firmware update. The problem with that, is that this box was manufactured over two years ago and I am not sure if there is firmware you your box. I will check for you and get back to you. You Can download the new firmware from here https://mega.nz/#!smRCDKQb!Gtdp0xNVNrz1KDu2atw1IwZErrEosT1b6pf17p922Sk it was released in 2018 so it’s updated. Thank you TVBOXSTOP for the firmware link! Much appreciated. Just new to the TV box market, so I’ll have to browse around and learn more. The update worked great. Where did you find the firmware if you don’t mind me asking? 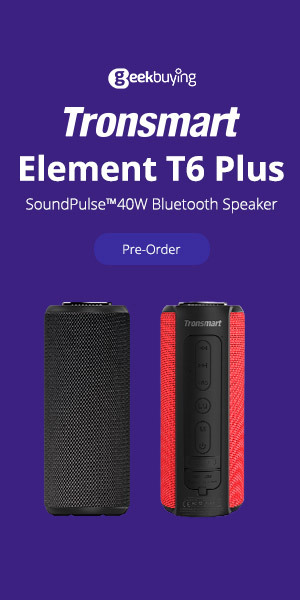 I’d like to figure out a good source of tinkering, if new firmware comes out. Looks like the Android security patches are still from Feb 1, 2017 though, I thought that would have gotten upgrade with the new firmware.